One of the most fundamental components to holding a successful business conference is having a unified brand message, communication strategy, and designed experience upon which all activities can be aligned for multiple hotel brands. 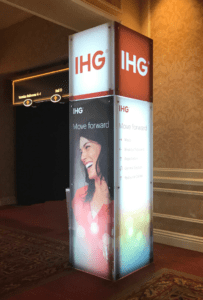 Intercontinental Hotel Group (IHG), a prominent international hotel conglomerate, approached Territory with to design the brand experience, story framework, and executive presentations for the key strategic messages to be delivered at their Americas Holiday Inn owners and general managers conference held in Las Vegas. The goal was to find the right way to connect with the Holiday Inn Brand Owner/GMs audiences in order to create a highly distinctive, lasting and meaningful experience that attendees would remember and talk about, and thereby continue being strong brand advocates. The planning and execution process took a phased approach. First, Territory facilitated a discovery workshop with key stakeholders to help identify and align on each brand’s conference objectives, clarify the user-centric benefits, establish an integrated flow of key messages and proof points to articulate a compelling story at the conference. After the initial workshop, the focus turned to developing a script for the main stage conference presentations. The goal in designing each presentation was to not to modify the brand’s identity, but to nuance and amplify each message with structure and aesthetics. The last phase focused on branding and style treatment, to make sure all visual elements of the conference were in alignment. The last two phases brought a large team of designers, producer, and illustrators together create the main stage presentations. Twelve main stage presentation decks were created that mapped core brand messages. 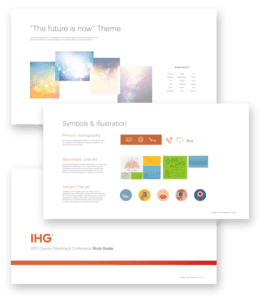 After months of iterative development and collaboration with the company, Territory developed a brand message that aligned with IHG’s core needs. Dedicated onsite round the clock support ensured the highest level of design and polish for each presentation. Owners were heard saying that it had been one of the most inspiring and creative conferences they’d attended. 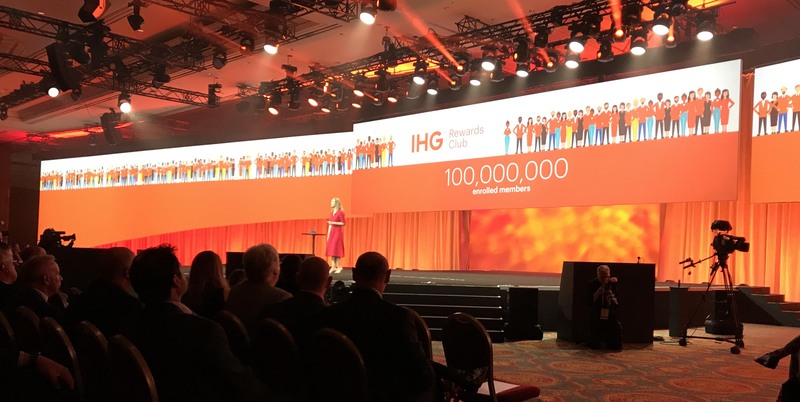 With over 3,500 attendees, the conference was more than a success and was both engaging and effective in communicating to Owners/General Managers the message and story that IHG wanted to convey.